The Public are welcome to attend Committee meetings and Full Council meetings. 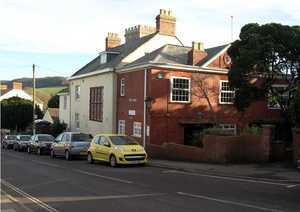 Most meetings are held at The Elms, St Andrews Drive, Charmouth, although parking is easier on The Street side. Accessibility for wheelchairs is possible and there is a lift. Playing Field, Cemetery and Street Management Committee and Foreshore Committee meetings are held on the last Tuesday of every other month (Feb, April, June, Aug, Oct and Dec (an appropriate Tues before Christmas)) at 6.30pm and 7.30pm respectively. These are usually held at The Elms, unless a site meeting is requested. Planning Committee and Finance Committee meetings are held on the second Tuesday of every other month (Jan, March, May, July, Sept and Nov) at 6.00pm and 7.00pm respectively at The Elms. There may be a need to hold a Planning Committee in the other months and these will always be advertised in advance on this site and on the Elms notice board. Full Parish Council meetings are held on the fourth Tuesday of every other month (Jan, March, May, July, Sept and Nov) at 7.30pm at The Elms. Click on the link to download the calendar of meetings for 2019. Any changes to the timetable are always advertised on this site and on the board outside the Elms. A Payment Authorisation Sub-Committee will be held on 15 April 2019 at 10.30am and a special Council meeting will be held on Monday 29 April 2019 at 7.00pm to primarily discuss the Annual Accounts for 2018/19. The next full Council meeting will be the Annual Meeting of the new Council and will be held on Tuesday 21 May 2019 at 7.30pm. The Agenda will be available to view from the Thursday before, under the Meetings tab. The latest meeting minutes are provisional until they are approved at the following month's meeting.